In this extensive workshop we will make kombucha and vegan cheese! Spend the afternoon learning with local kombucha company, Non Prophet. Teaching kombucha cocktails and vegan cheese will be local author, Jules Aron. After you have spent time perfecting your craft, gather for a picnic of cocktails and boards of delicious vegan treats. We will provide all the necessary equipment, please dress appropriately and bring an apron if you wish! I grew up around the kitchen table. For my family, food was everything. My father owned and managed several restaurants, while my mom worked as a chef in some of the most prestigious international hotels. Together, they instilled in me a deep appreciation for whole foods and the dining experience. Between the frequent dinner parties they loved to host, to the quality of food they chose to serve, they taught me that the best food involve basic techniques, fresh ingredients and a whole lot of love. 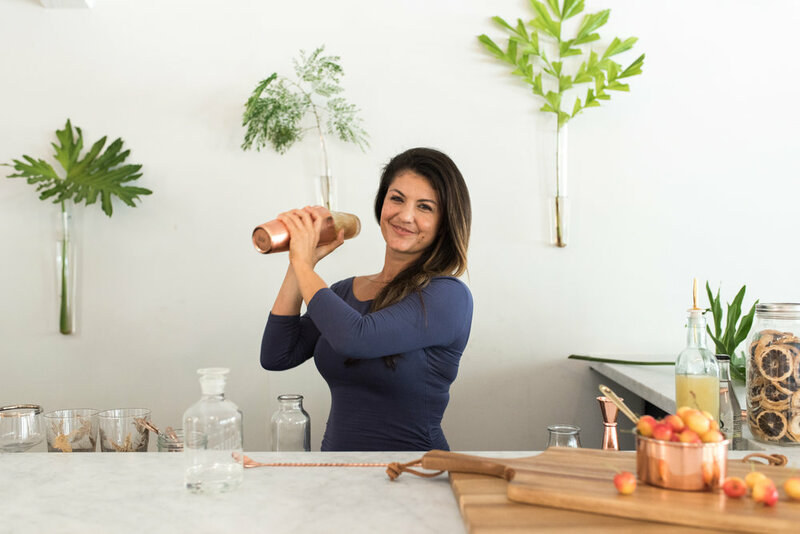 While my interests have long gravitated towards natural healing modalities, integrative nutrition, and a holistic approach to wellness, I also spent many years working in the service industry, and my approach to food will always be as a passionate foodie, first and foremost. In fact, most people that know me, would surely attest that I care passionately about what goes into my body yet refuse to eat food that simply isn’t delicious. It is with this simple philosophy in mind that I create recipes; taking care that they are easy to make, healthful and nourishing, and always bursting with flavor. In 2011, our founder Chris Montelius was working hard to bring craft beer to bars and restaurants throughout South Florida. He enjoyed meeting new people at his accounts, sharing beers with them, and educating them about the different types of beers and their unique flavors. But, as you know, drinking beer all day, while fun and has its place, can also have a negative impact on your work and your health. It was also around this time that Chris was living in South Beach and would frequent the local Whole Foods before heading out on his route for a snack and a to-go beverage. It was at this Whole Foods that he discovered his very first kombucha. Check out our last event to get an idea of what to expect!